Bathrooms are the one room, whether in a house, hotel or restaurant, that get all the abuse. With it being the place that is visited several days a day, sometimes by loads of different people, it can be a difficult room to design and keep interesting. But many designers and architects have stepped up to the challenge and shown off their skills in impressive ways. 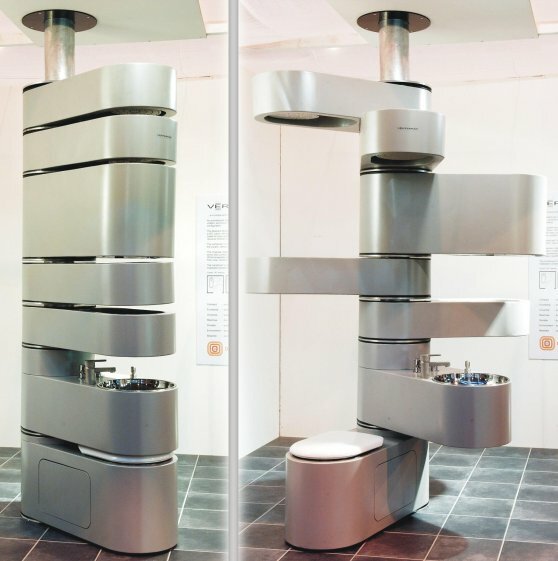 The Vertebrae Vertical Bathroom is one for the spatially challenged household. It fills up only 4.3 square feet and folds in and out like an army knife containing a toilet, a cistern, a sink, two storage areas and two shower heads. 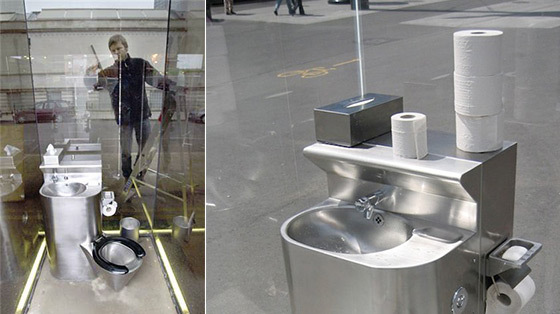 London’s streets wouldn’t be the first place you’d think of for an unusual bathroom feature, but you’d be wrong. 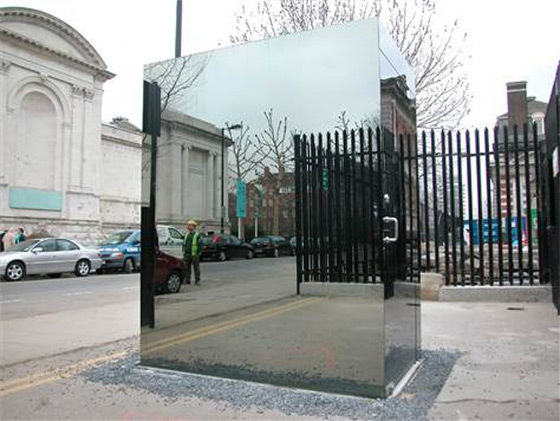 If you want to experience what it’s like using a bathroom in a transparent casing, then go ahead, with the one way mirrored glass public toilet. From the outside it looks like a strange mirrored art exhibit; from the inside, you can see everything. In Japan, things get even stranger. 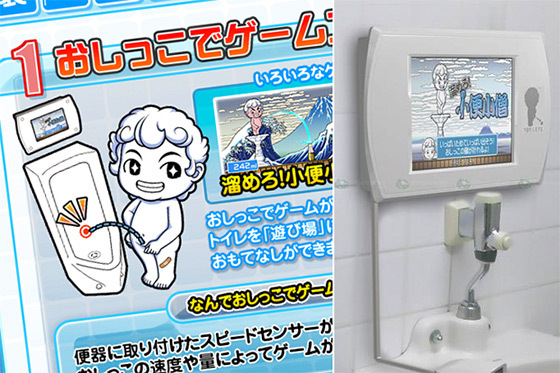 If you get a bit bored while using the bathroom, try one of the Video Game urinals. Games range from squirting milk out of your character’s nose, pitted against the last person to use it, or spraying graffiti off a wall, all measured on the strength of your stream. If all of these are a little too unusual to try out in your own home, but you want something unique to show off your design skills, how about a Phoenix LED colour changing shower head that changes with the temperature of the water flowing through it? Not quite as exciting as a video game, but definitely still unusual! Or for something a little more cosy, designers have started looking to the past. For example, using a vintage dresser as a vanity that’s been scuffed up a little to look ‘shabby chic’ is very stylish, or using a fireplace as a focal point instead of a freestanding bath.